A family owned business WA Universal Rigging & Cranes are third generation and have grown to become Western Australia’s trusted and preferred rigging and crane provider. With the simple strategy of being able to provide excellent rigging, crane, & transport services to our clients for a fair price, WA Universal Rigging & Crane have continued to succeed and grow through all climates. 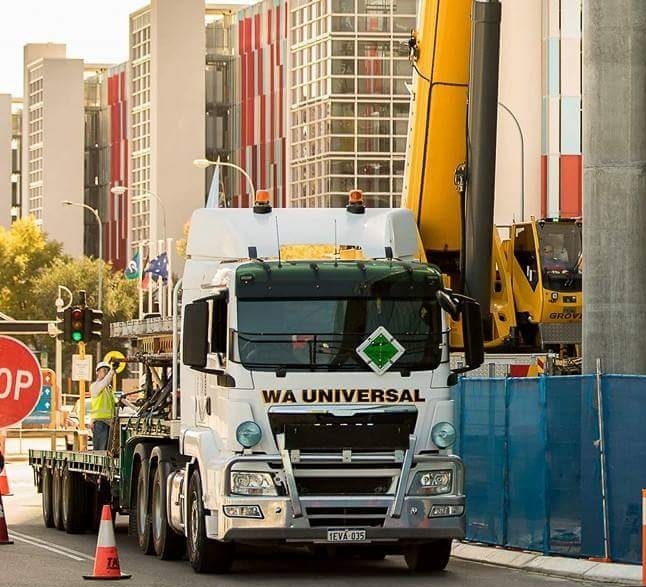 Started in 1985 WA Universal Rigging & Cranes have performed work on many of Perth’s major projects and have successfully developed excellent relationships with the major builders of Perth. Looking for continued growth WA Universal Rigging & Cranes continue to look for opportunities in many fields’ and ways to continuously improve our current business.